The enemy spy car from the Moteurs... Action! 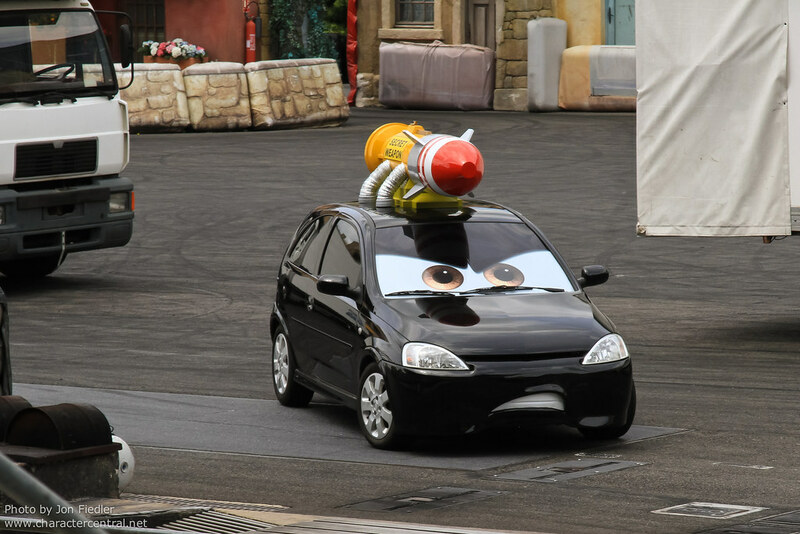 Stunt Show Spectacular featuring Lightning McQueen at Disneyland Paris! Meeting Enemy Spy "Secret Weapon"
The Enemy Spy cannot be met. Pictures of Enemy Spy "Secret Weapon"